Sock yarn for me. 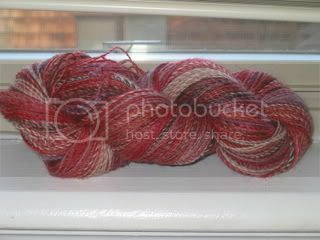 Later this week I'll be listing sock yarns- handspun of course- in my shop. I've been really in to pinks and greens this last week. Happily Handmade has started again! For a chance to win one of 50 free gift baskets you can sign up on my site anytime in the next month. Did I mention it's free and supports indie businesses?